Seasons greetings, everyone! 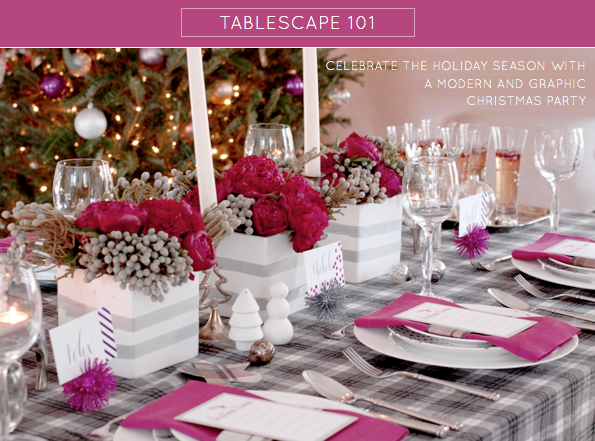 For this month's look, I created a festive Christmas tablescape that complimented a gift and beverage station. 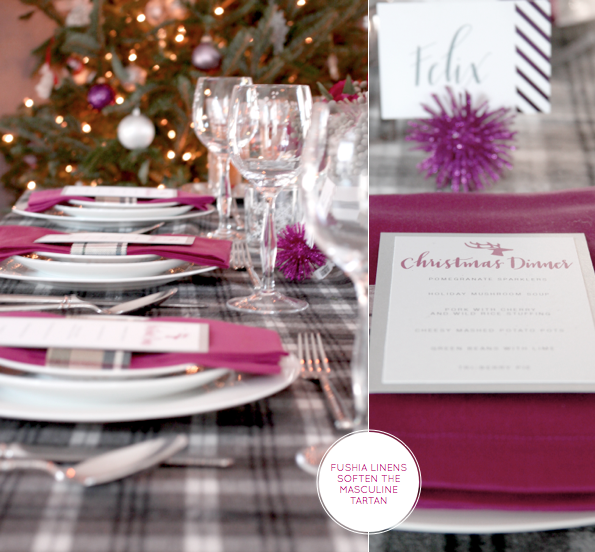 I wanted to keep the feel modern, using colours such as fuscia, and magenta with mauve and pink hues, which lifted the traditional and masculine plaid tablecloth. I made the tablecloth out of woollen fabric; the medium weight of the woollen fabric works really well to add padding for stemware and dinner plates, which in turn helps to create a more tactile experience for guests. To bring a little formality to the occasion, I asked stationery designer Claudia of Fig2Design to help me with invitations, menu and place cards, with the calligraphy by Michele of Meant to be Calligraphy. 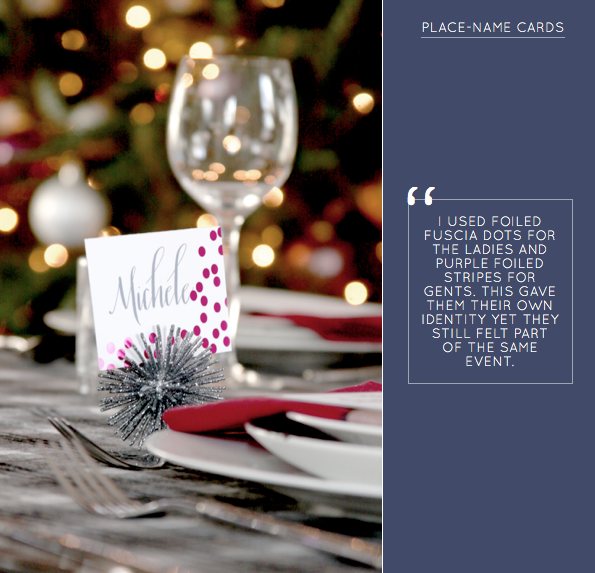 I especially love how the place cards turned out! Another gorgeous tablescape, Will. 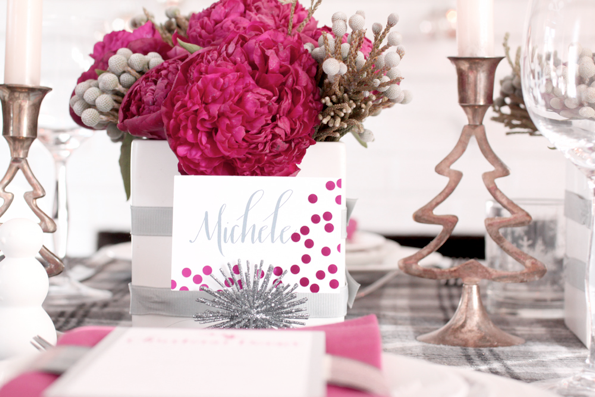 Love the peonies and the place cards. So many lovely ideas. Great styling! I absolutely love the bright pink you used. The wine tones and gold look so pretty with it too. Definitely want to try out that cocktail. STOP IT! I am in love with this table. The understated glitz totally talks to me! SO nice! I love the placecards and the way that the white wreath pops against the gray wall. 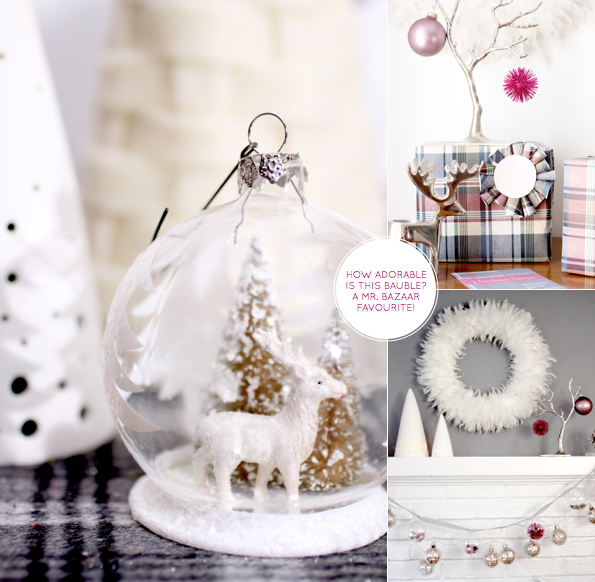 Love those animal filled baubles! Such an interesting and beautiful decoration. 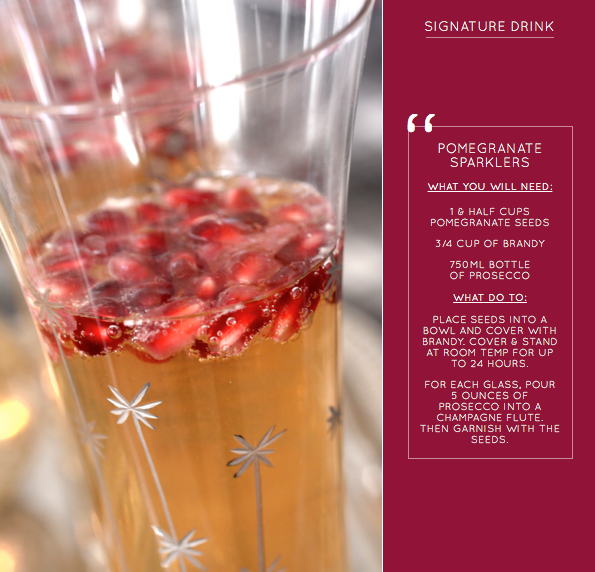 I will definitely have to try the pomegranate sparklers.I know my guests will be pleasantly surprised! Completely love this! Such a different festive look and I love it especially all the tartan decorations. Beautiful Beautiful flowers too! Going to be stealing some ideas from here! 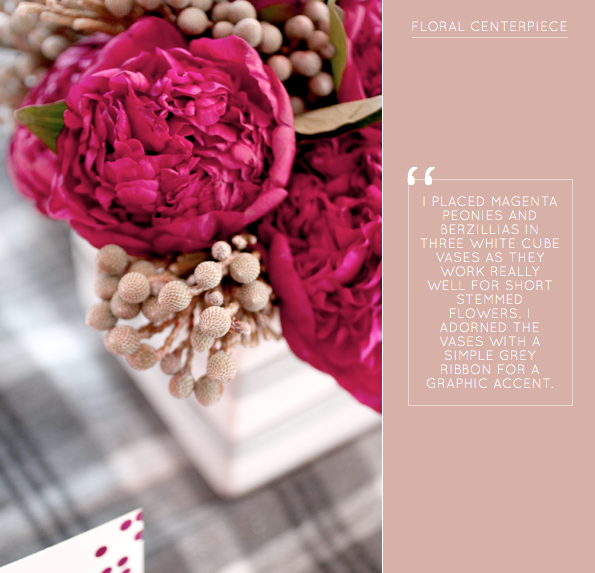 Peonies, pink, plaid - perfect Will! What a divine table and such great inspiration! 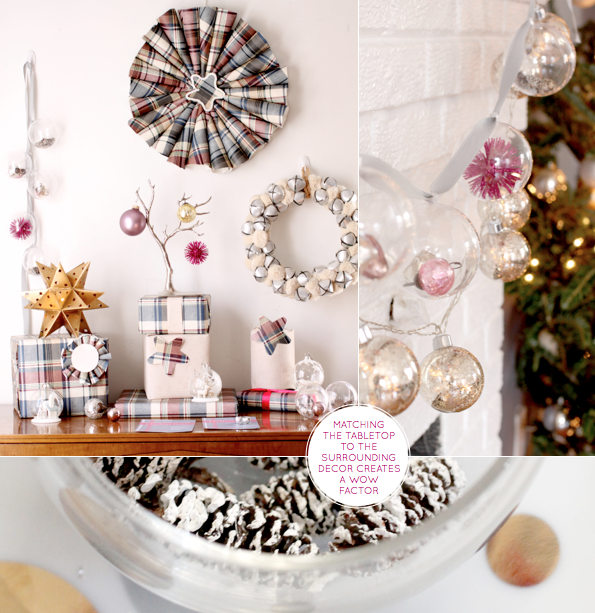 This theme is so pretty and a fine way to change things up for the holidays. Thank you all for your kind and generous comments about Manvi's fab Christmas tabletop! Also, thank you to Claudia and Michele for their grand efforts on the stationery and calligraphy! Oh so gorgeous! Yum for fushia! And tartan! Adore! So want an antler candelabra. Actually make it two. I need them pronto and am seriously contemplating getting some from Zhush.. Je reve.. Thanks for popping in today luv. I know Stuart will be thrilled. Hugs from the top of the world. So beautiful Will. Love Manvi's tablesettings! Thank you so much for your sweet words on this look. I had so much fun creating this and it is a total team effort that wouldnt have been possible without Will, Claudia and Michelle. Hope you DO steal ideas from here! Happy holidays!! I'm not so keen on the fushia colour in the top pictures, but ooooohhh the three last pics!!! Love it! 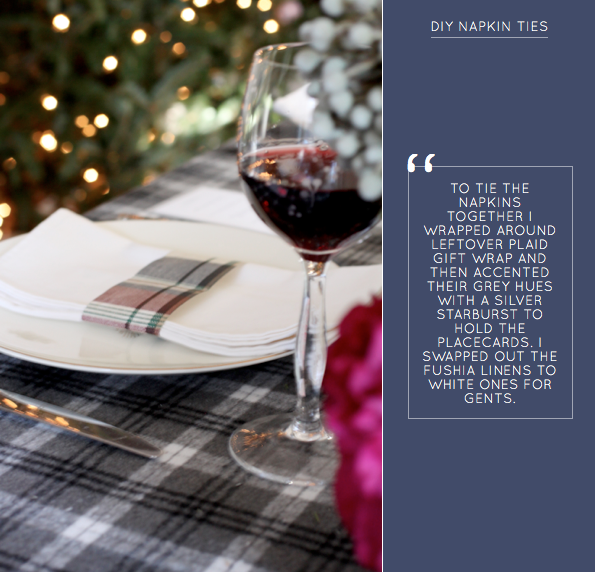 Love plaid, love the wreath, the napkin tie, the whole gift and drinks station. 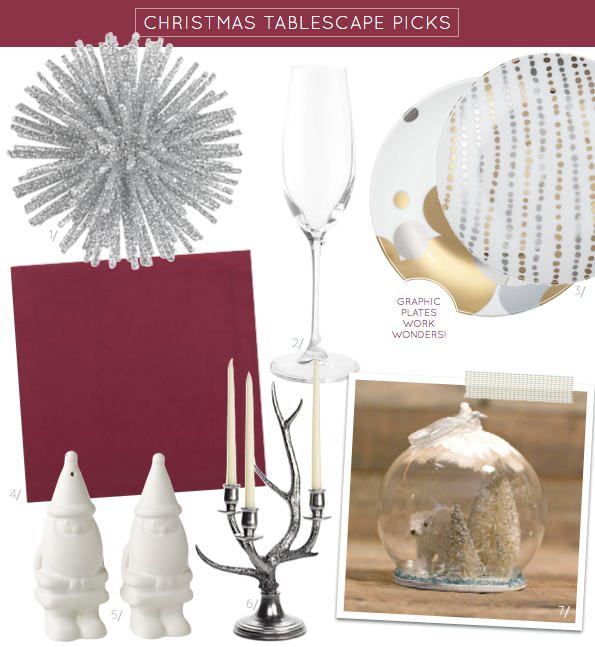 And the polar bear bauble is so adorable! 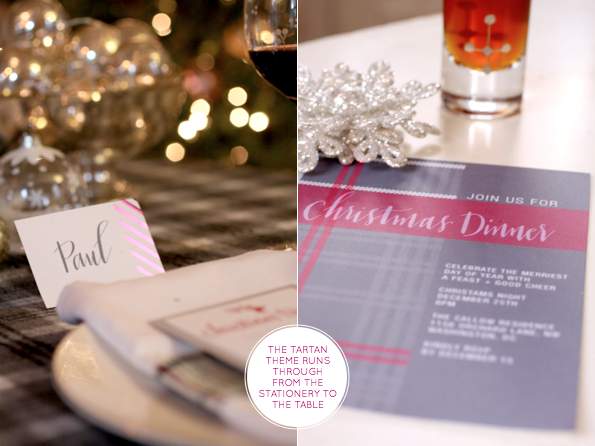 The tartan plaid is just inspired - I love how beautifully it balances masculine and feminine elements! Yeah! I love it when you and Manvi team up together! All very stylish and very inspirational!